22 August, 2018 – TECNIC, the leading innovator in the design and construction of fully automated (modular) solutions for microbiology laboratory has launched its new website today; www.tecnic.nl. The new website includes a calculation tool to define the optimal solution TECNIC has to offer, based on the yearly quantity of samples. 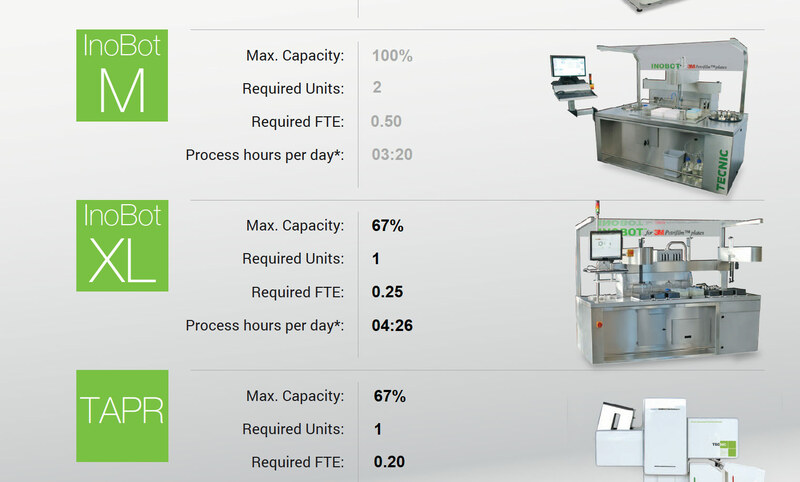 The new website of TECNIC includes the features and benefits and a calculation tool for the Inobot Series (specifically designed for processing 3M Petrifilm™ plates), Microbot Series (for processing Petri dishes) and the Combines Series (for processing 3M Petrifilm™ plates and Petri dishes to realize 100% automation). The new website of TECNIC, with interactive features, is a result of the renewed strategy of TECNIC which is focused on continuous improvement and innovation of existing and new solutions.